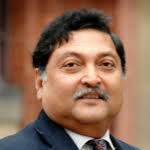 Talk title: "The Future of Learning"
In this talk, Sugata Mitra will take us through the origins of schooling as we know it, to the dematerialisation of institutions as we know them. Thirteen years of experiments in children's education takes us through a series of startling results - children can self organise their own learning, they can achieve educational objectives on their own, can read by themselves. Finally, the most startling of them all: Groups of children with access to the Internet can learn anything by themselves. From the slums of India, to the villages of India and Cambodia, to poor schools in Chile, Argentina, Uruguay, the USA and Italy, to the schools of Gateshead and the rich international schools of Washington and Hong Kong, Sugata's experimental results show a strange new future for learning. Using the TED Prize, he has now built seven "Schools in the Cloud", of which some glimpses will be provided in the talk. Talk title: "Effective Pedagogy at Scale, Social Learning and Citizen Inquiry"
For the past four years The Open University has published annual Innovating Pedagogy reports. Our aim has been to shift the focus of horizon scanning for education away from novel technologies towards new forms of teaching, learning and assessment for an interactive world, to guide teachers and policy makers in productive innovation. In the most recent report, from over thirty pedagogies, ranging from bricolage to stealth assessment, we have identified six overarching themes, of scale, connectivity, reflection, extension, embodiment, and personalisation . Delivering education at massive scale has been the headline innovation of the past four years. This success begs the question of "which pedagogies can work successfully at scale?". Sports coaching is an example of teaching that does not scale. It involves monitoring and diagnosis of an individualÕs performance, based on holistic observation of body movements, followed by personal tutoring and posture adjustments. Any of these elements might be deployed at scale (for example, diagnostic learning analytics , or AI-based personal tutoring  but in combination they require the physical presence of a human coach. The major xMOOC platforms were initially based on an instructivist pedagogy of a repeated cycle of inform and test. This has the benefit of being relatively impervious to scale. A lecture can be presented to 200 students in a theatre or to 20,000 viewers online with similar impact. Delivered on personal computers, instructivist pedagogy offers elements of personalisation, by providing adaptive feedback on quiz answers and alternative routes through the content. 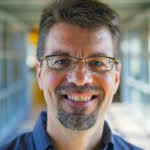 Talk title: "Practical Learning Research at Scale"